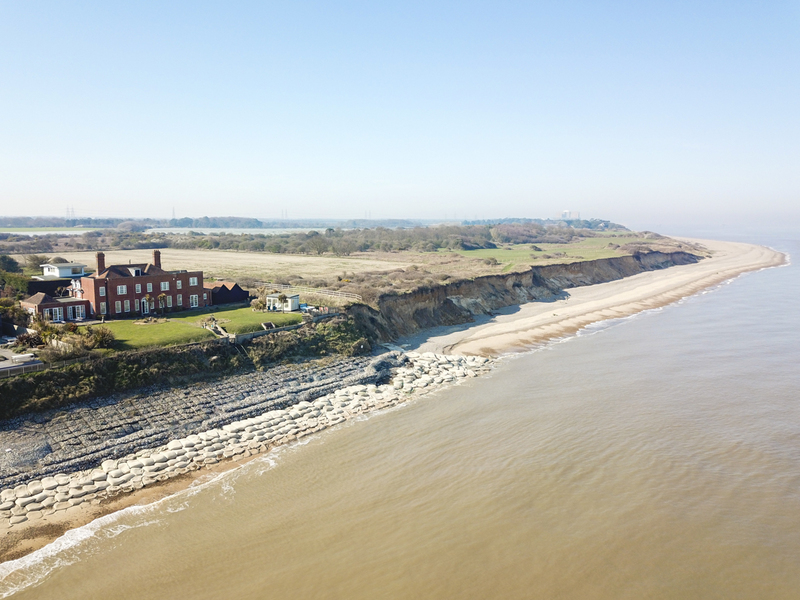 Thorpeness House is the perfect backdrop to discover the delights of Suffolk. 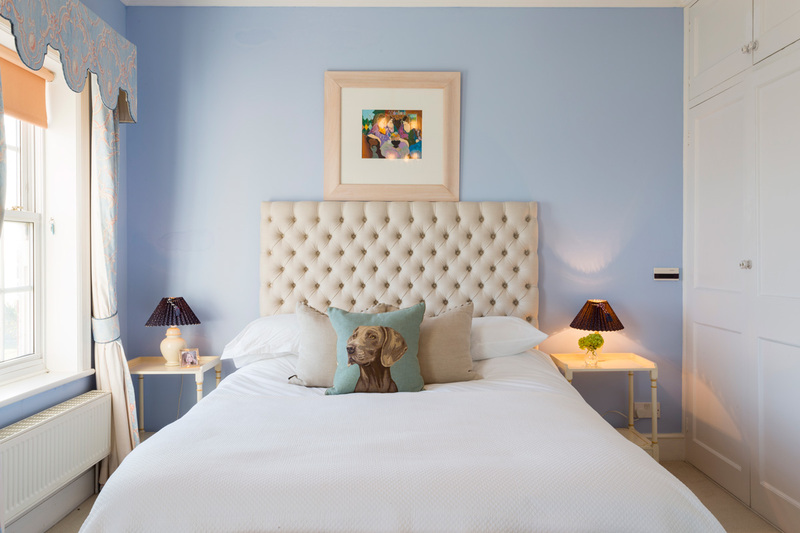 So, guests can expect to experience a comfortable stay surrounded by stylish features, modern finishes and the latest technology. 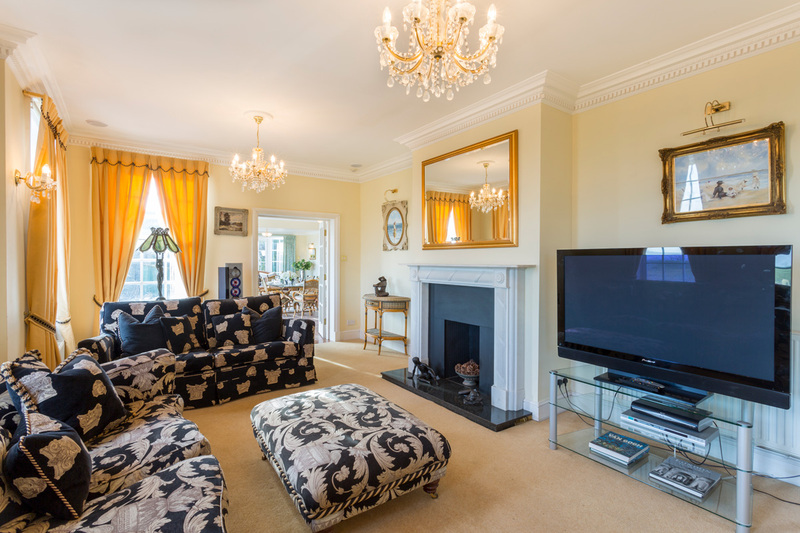 The attractive interiors feature well-proportioned rooms throughout, bejewelled with sparkling chandeliers and toasty fireplaces. 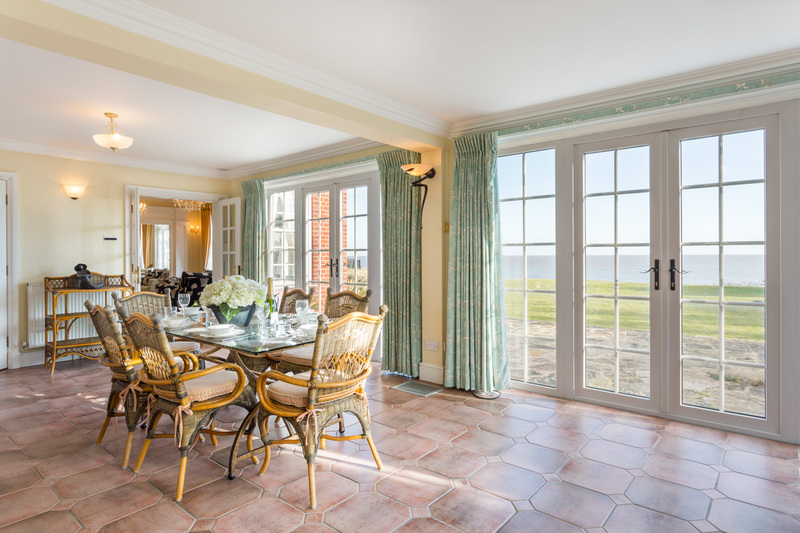 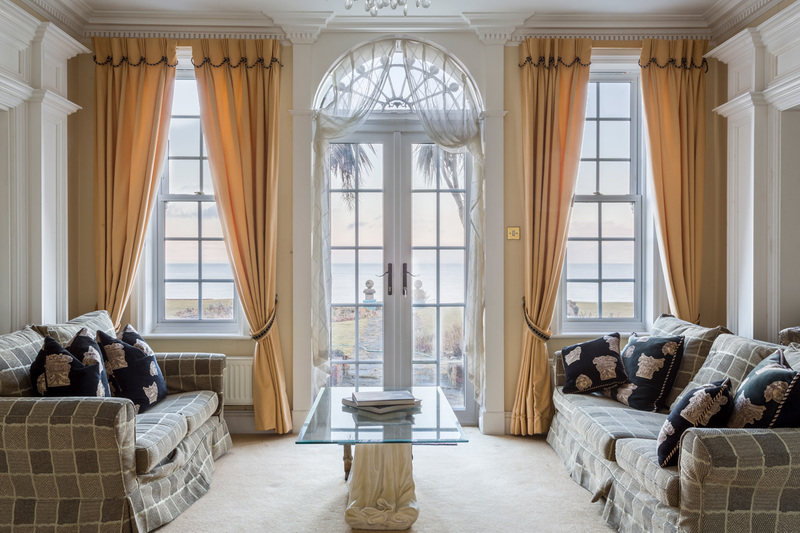 Not to mention there are two opulent windows and stunning French doors, that allow for a stunning panoramic view of the sea. 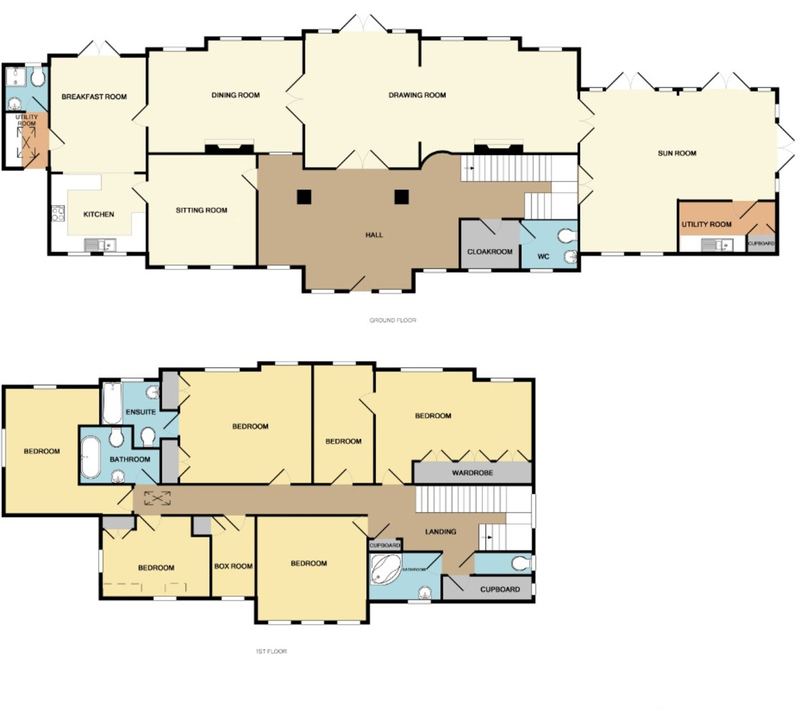 But first, onto the ground floor... which has a flexible and appealing layout. 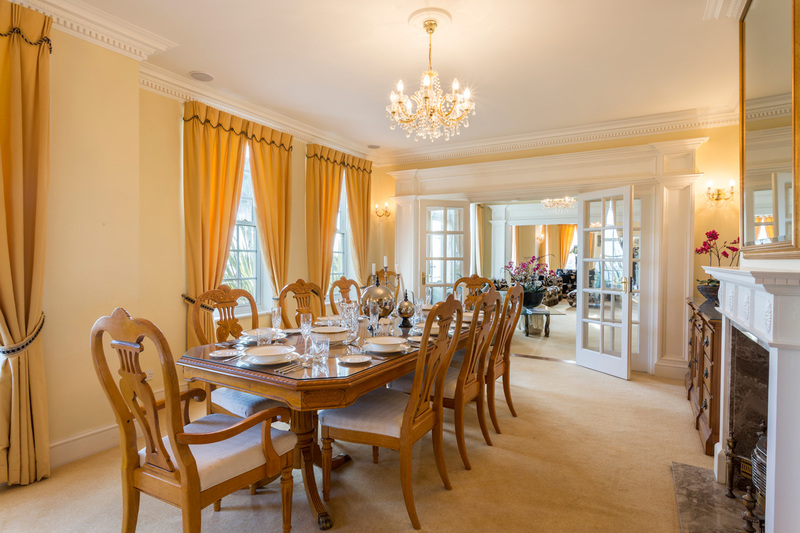 With the ability to open the reception rooms into one another or close them off if required, it creates ample space for larger groups or celebratory occasions. 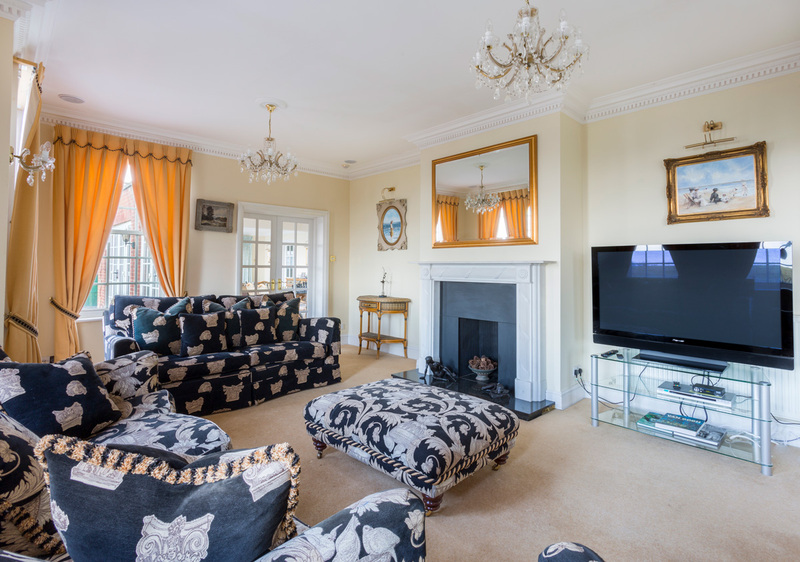 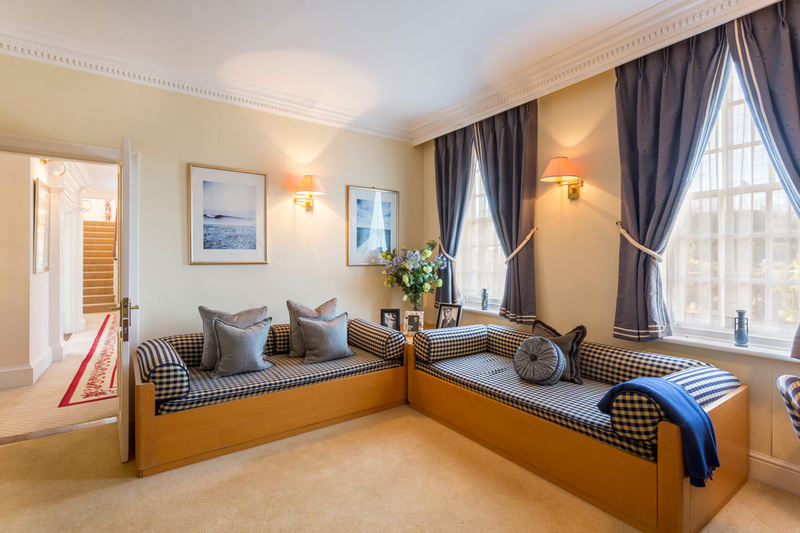 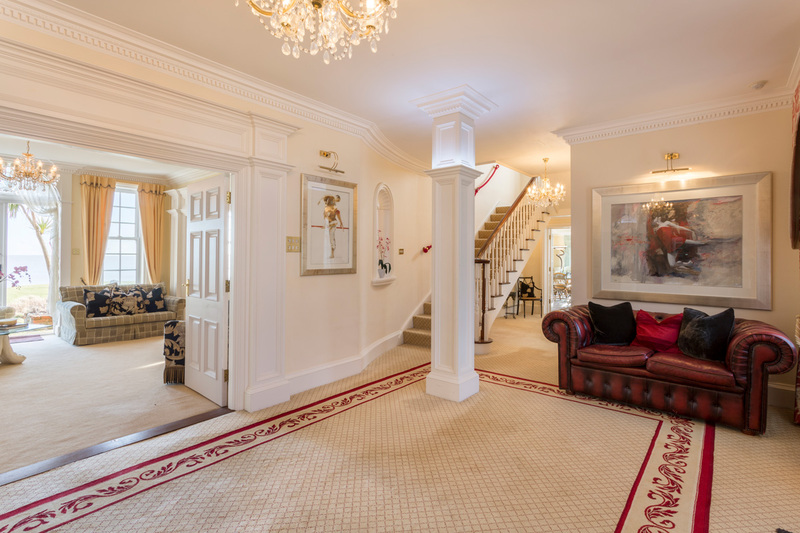 The stylish reception rooms are filled with cream carpets, comfortable seating and a large flat screen TV. 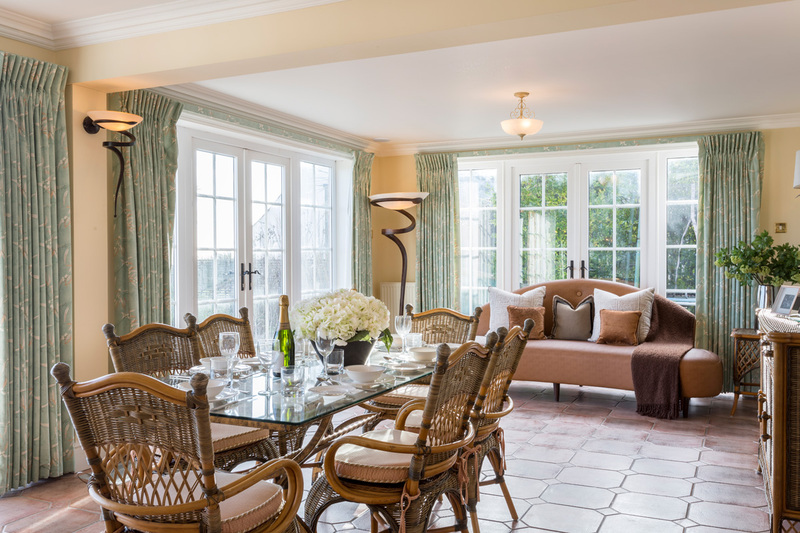 The reception rooms, kitchen, dining room and garden room are all located at the back of the house, opening directly onto the stone patio. 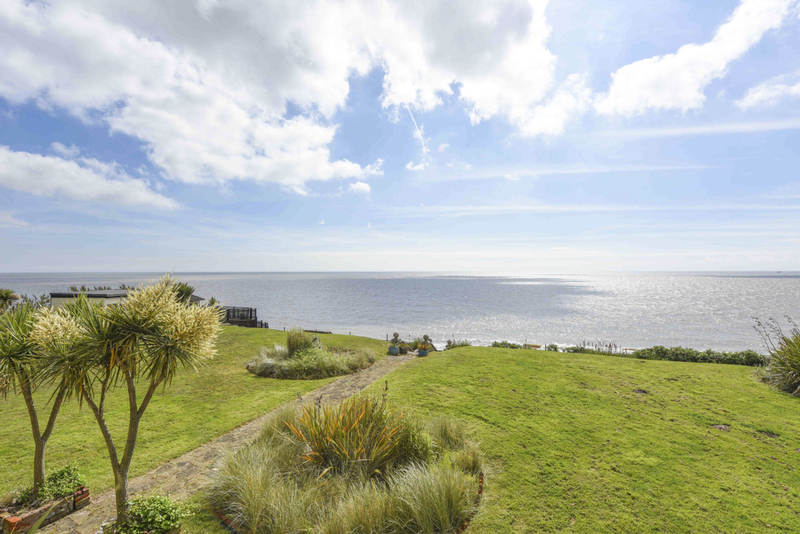 The patio is a lovely spot to enjoy a BBQ and take in the picturesque views. 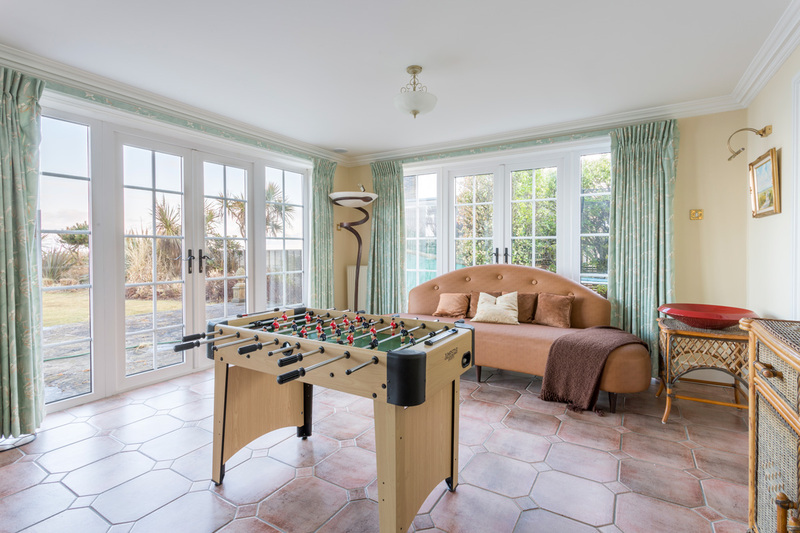 There is also a laptop-friendly study room located at the front of the house, but this room can double up as a snug for kids with a TV readily available. 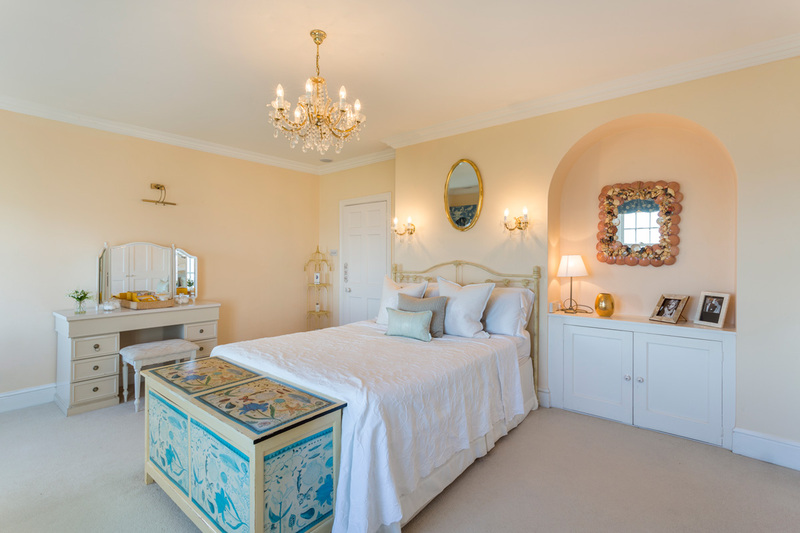 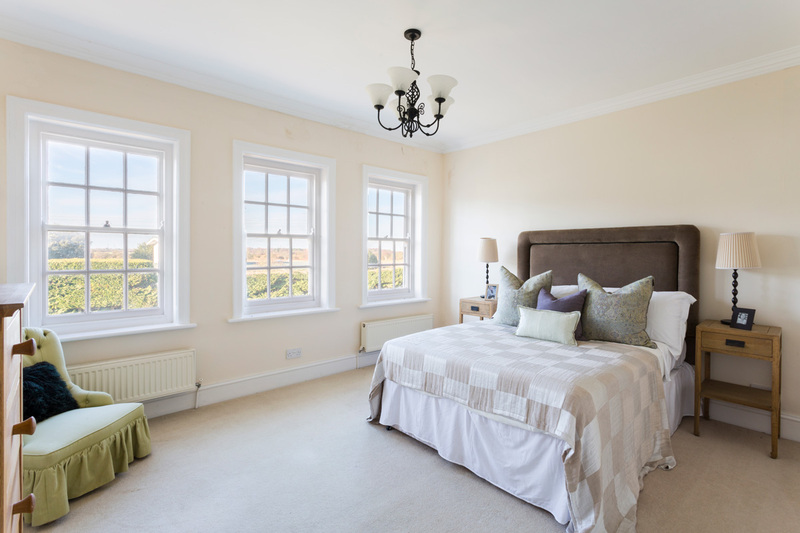 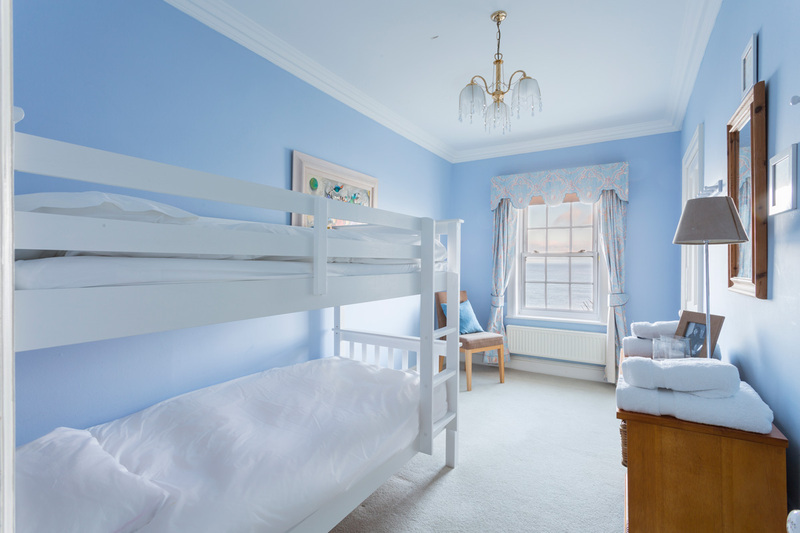 The first floor consists of a large master bedroom with an ensuite bathroom, three bedrooms with double beds - one of which adjoins to a single bedroom with bunk beds and one additional twin bedroom. 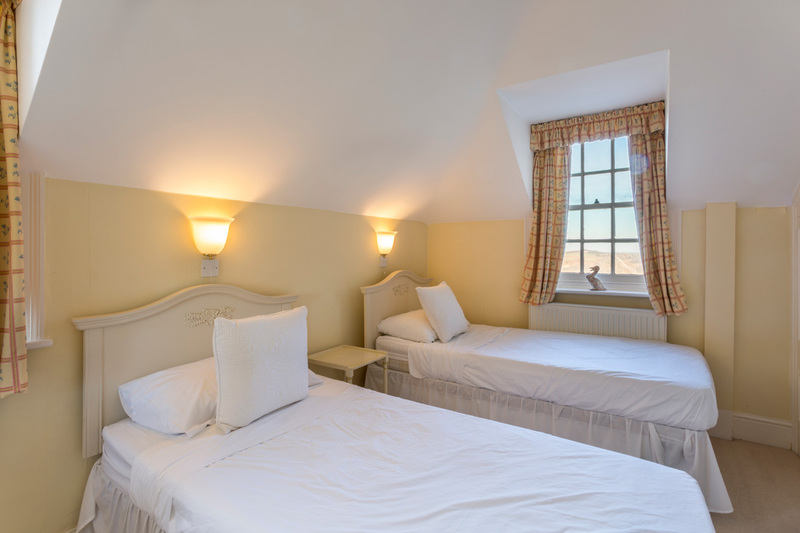 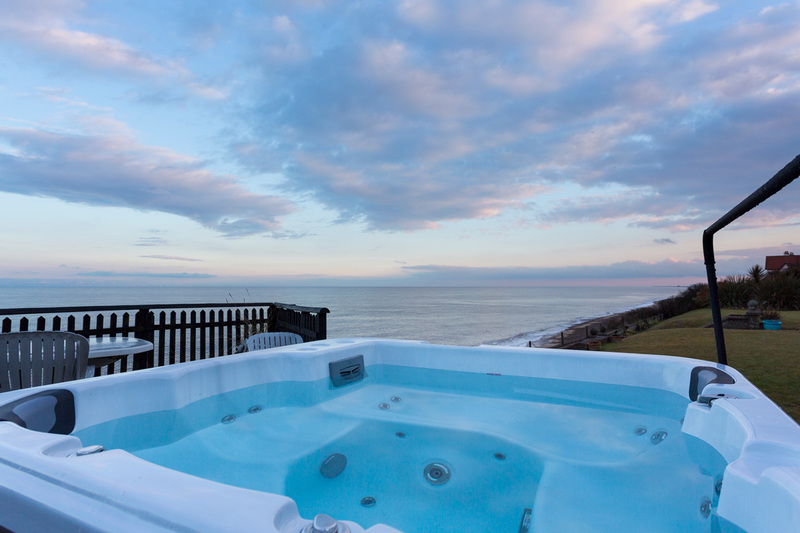 Four of the bedrooms benefit from superb far reaching elevated views over the sea. 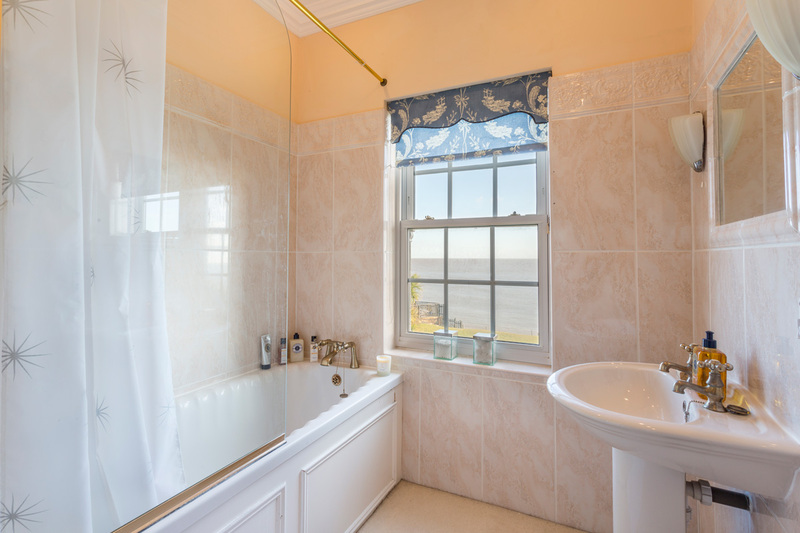 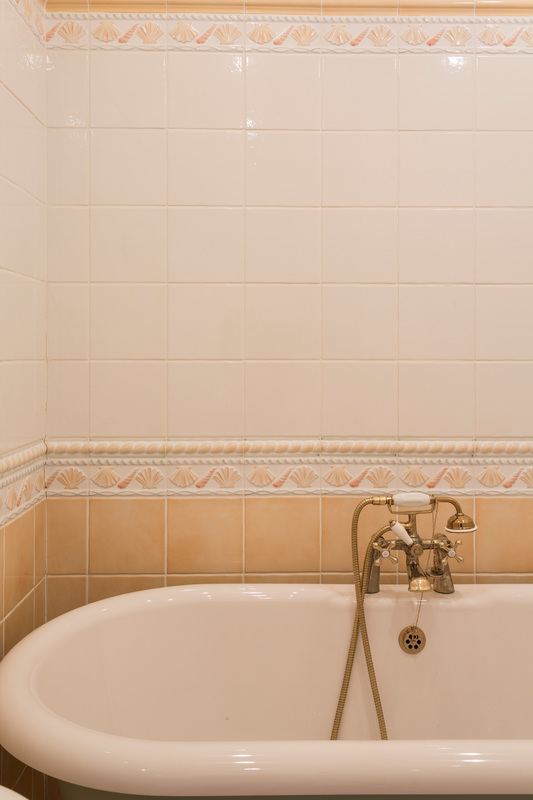 Two family bathrooms are shared by the bedrooms and come with a bath and shower. 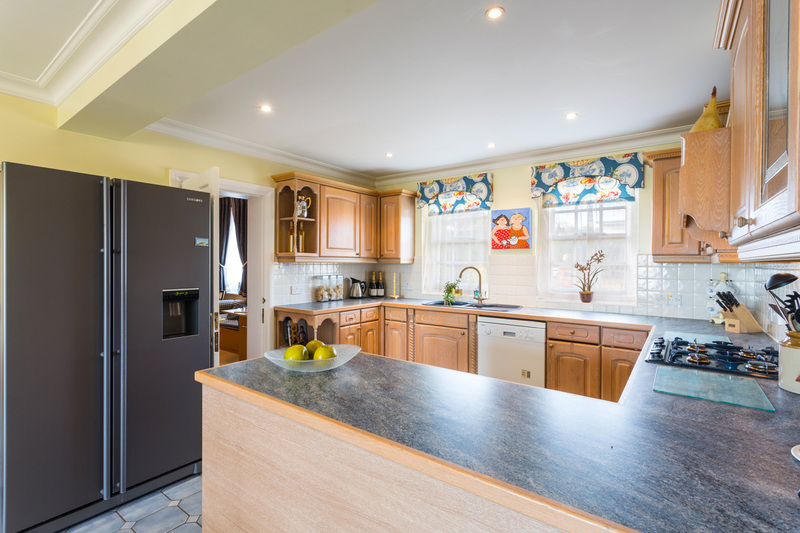 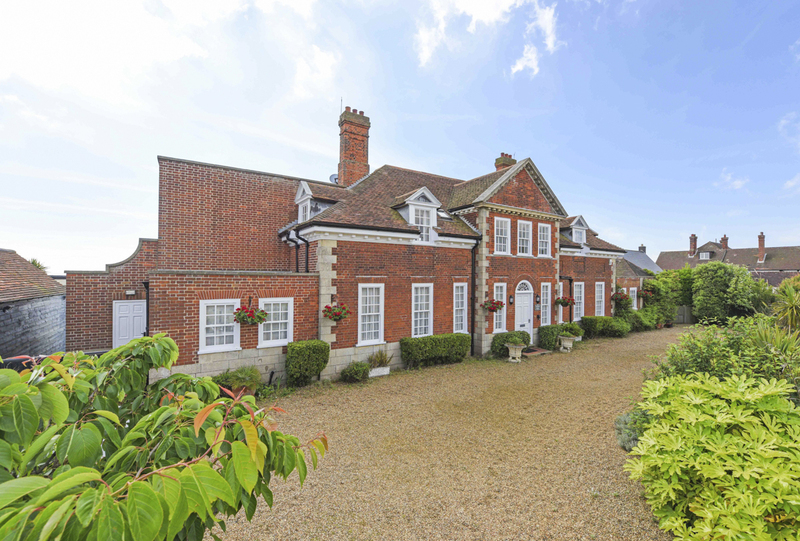 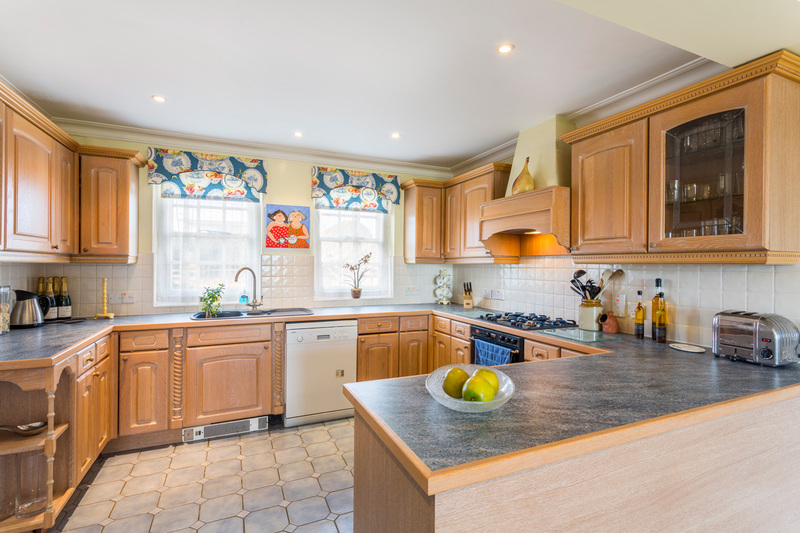 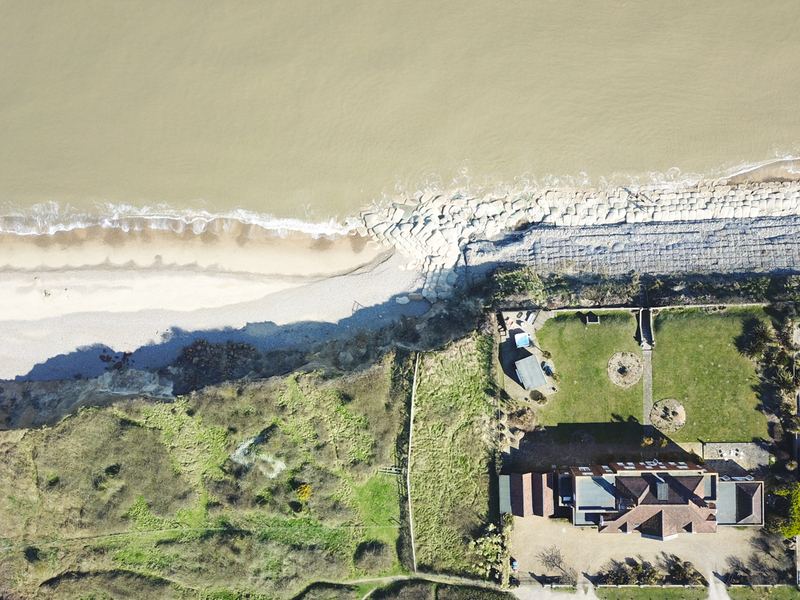 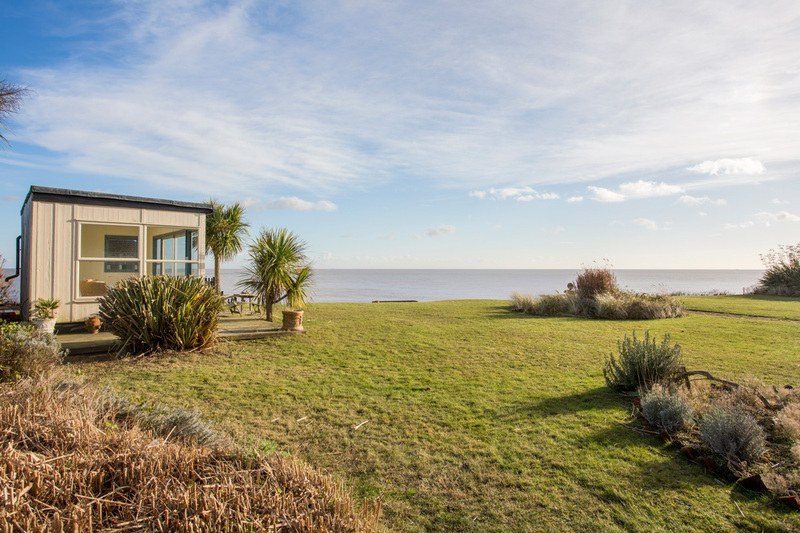 Outside you will feel totally spoilt with direct access to the shingle beach of Thorpeness via your private gate. 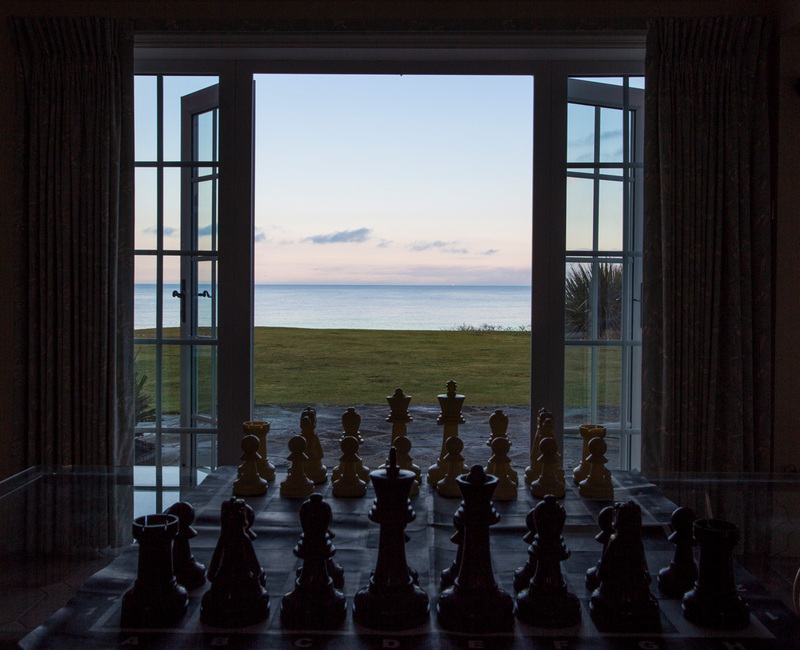 The garden itself is perfectly positioned directly overlooking the sea with a substantial large lawn to enjoy games. 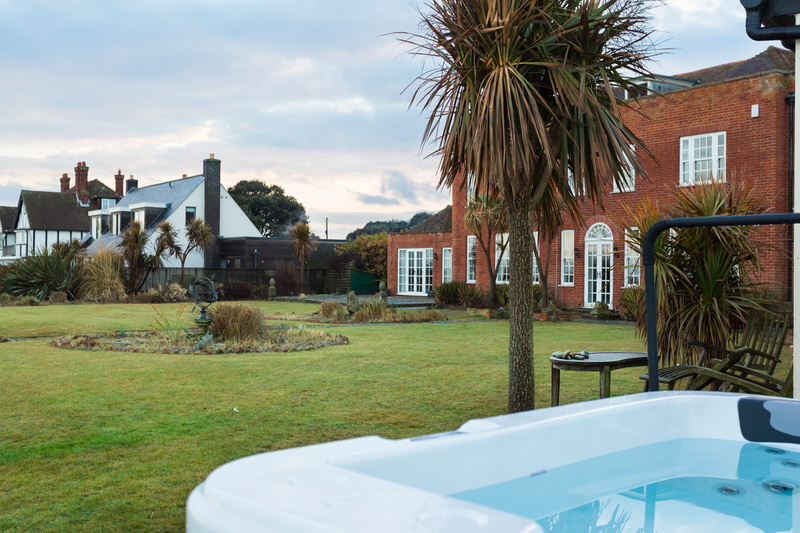 Additionally, there is also a six person hot tub and a delightful wooden decked area which are both ideal for a sundowner! 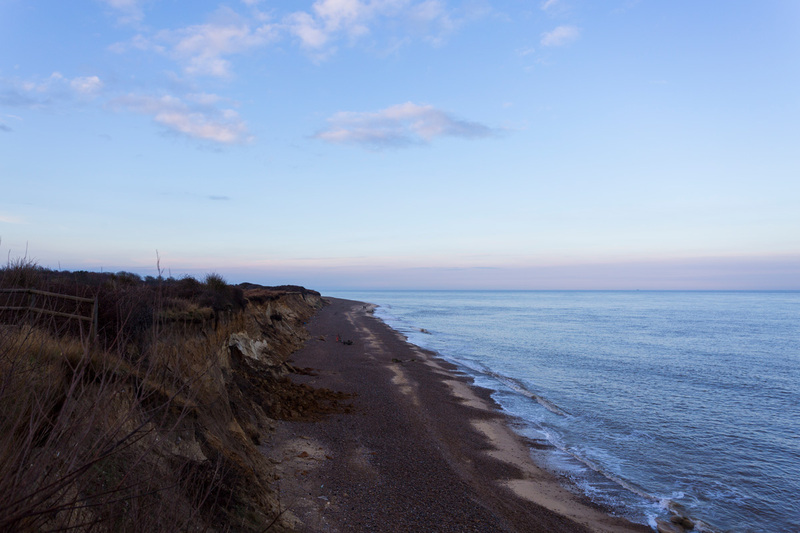 As for the village of Thorpeness? 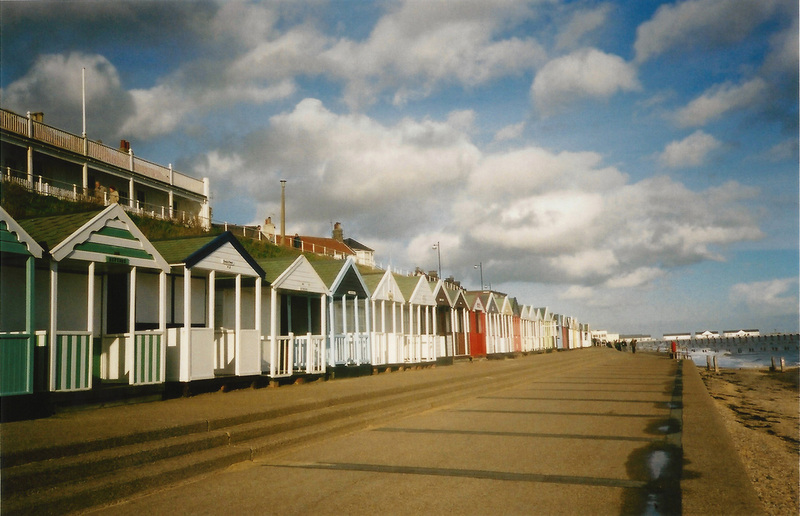 Well, it offers a quintessentially English seaside experience. 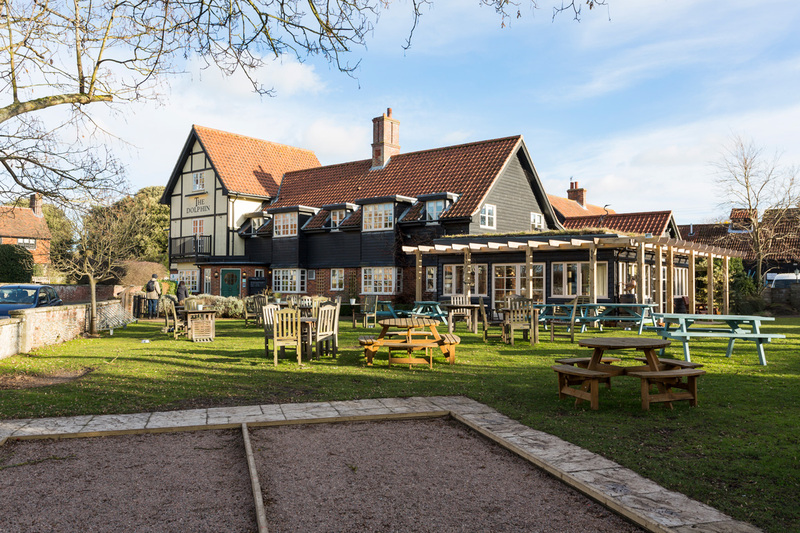 Sailing on the Meare boating lake is a must and a round of golf at Thorpeness Golf Club is also highly recommended. 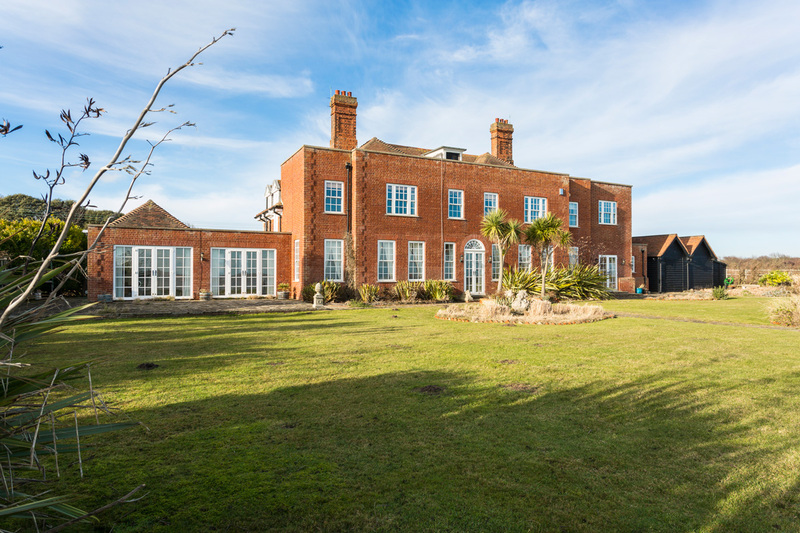 Shopaholics will love exploring the hidden treasures of the Emporium, a market filled with vintage antiques and collectable trinkets. 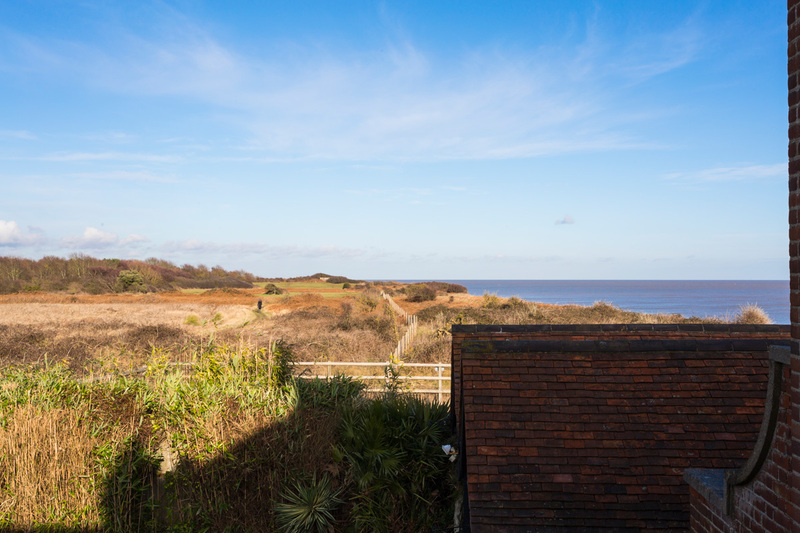 The glorious surrounding countryside provides a diverse mix of dynamic landscapes including heathland and forest - so there's no excuse to not go for a relaxing stroll. 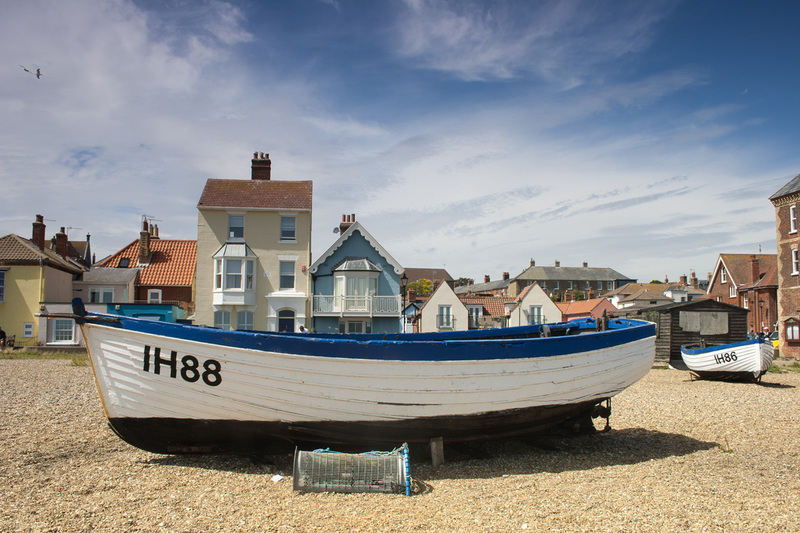 You're also only a ten minute drive from Aldeburgh with it's fantastic high street full of quality shops, pubs and restaurants. 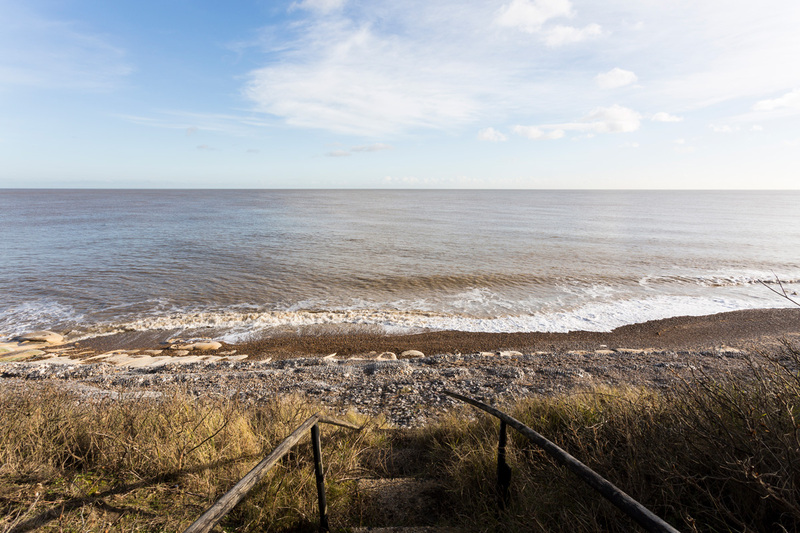 Thorpeness is especially great for families, together you can enjoy exploring local attractions and historical sites like the Dunwich Heath and Beach or the Orford Ness National Nature Reserve. 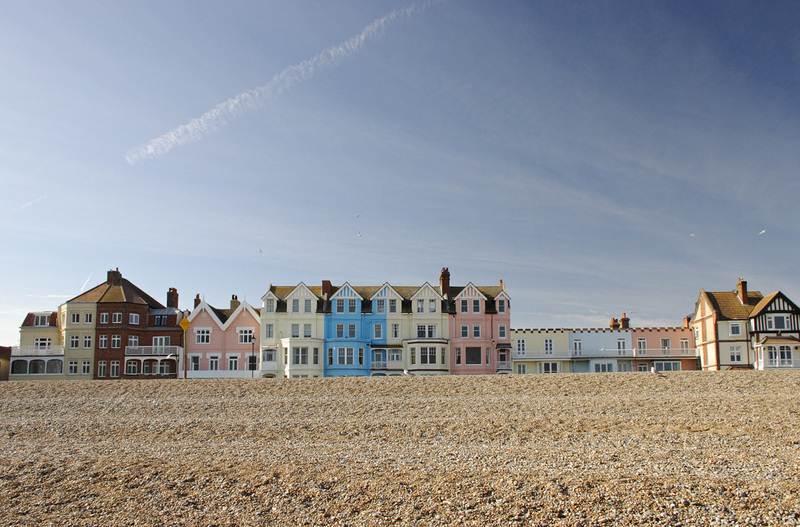 And if that wasn't enough, there are the charming nearby villages of Aldeburgh, Slaughden and Sizewell - all offering a selection of shops, galleries, a cinema and restaurants. 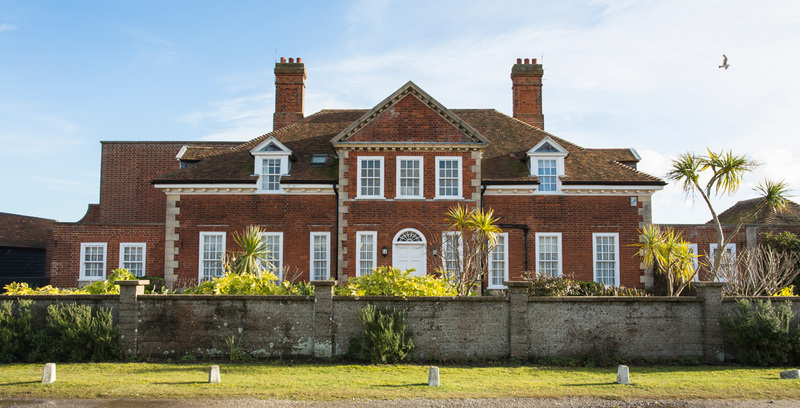 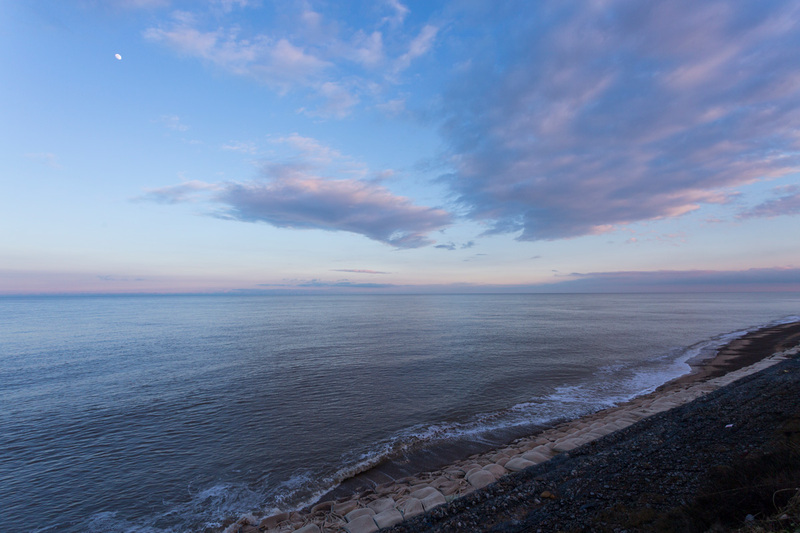 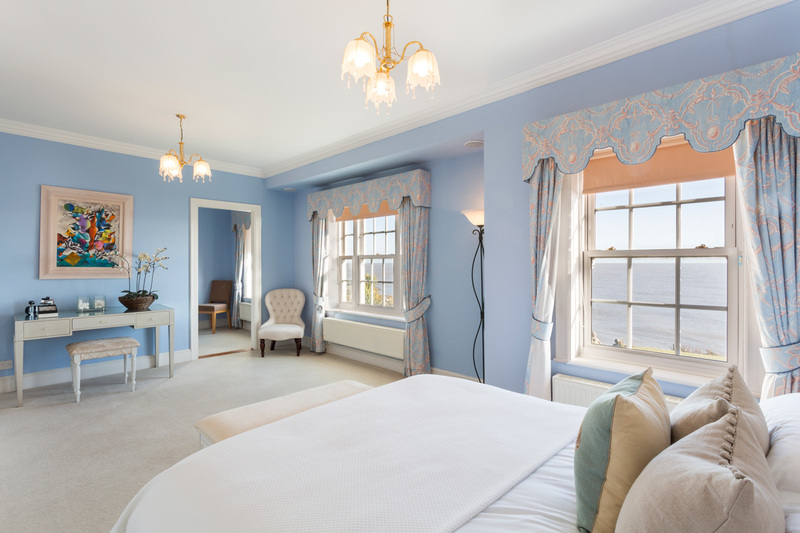 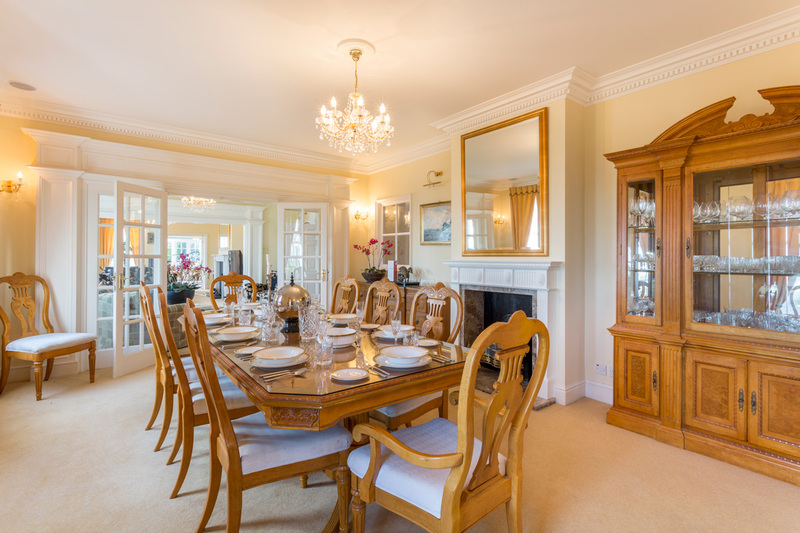 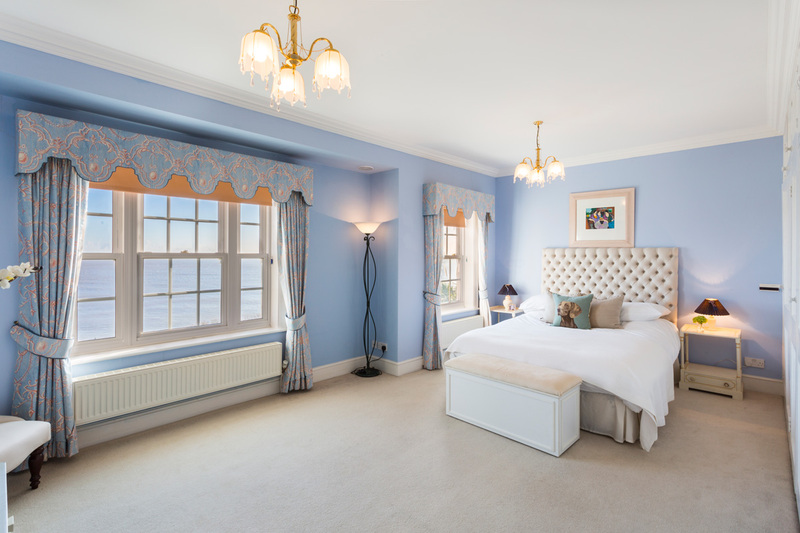 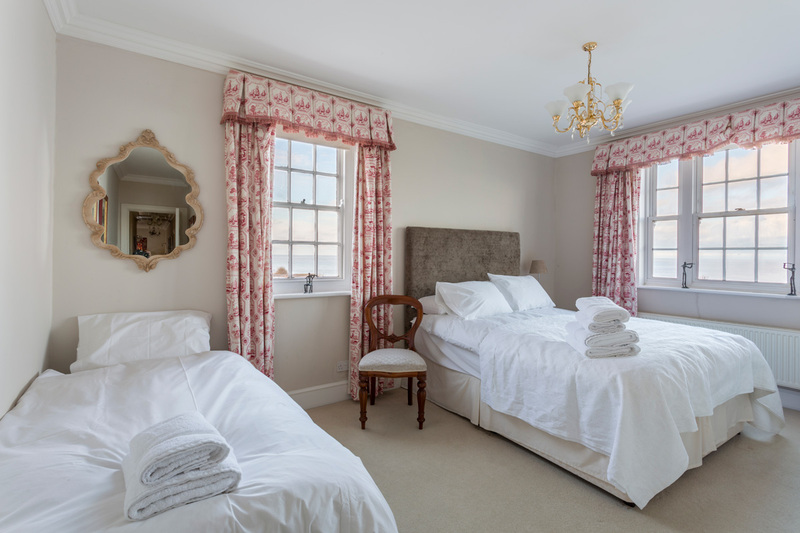 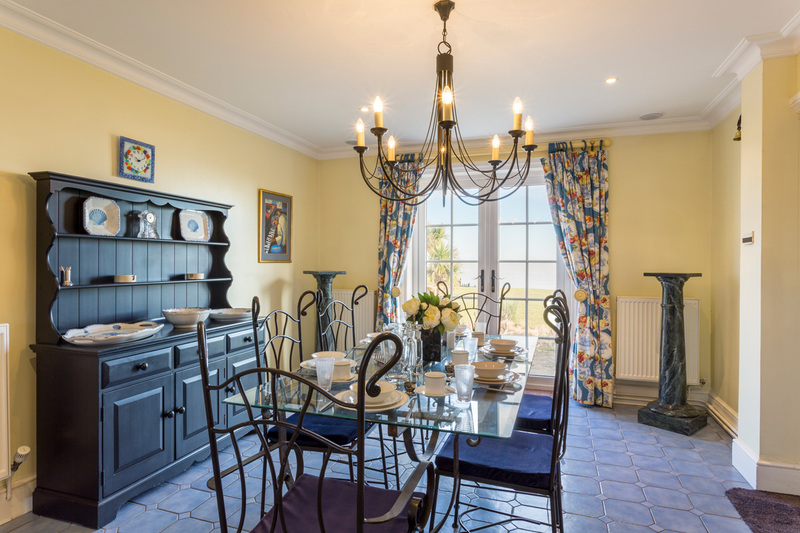 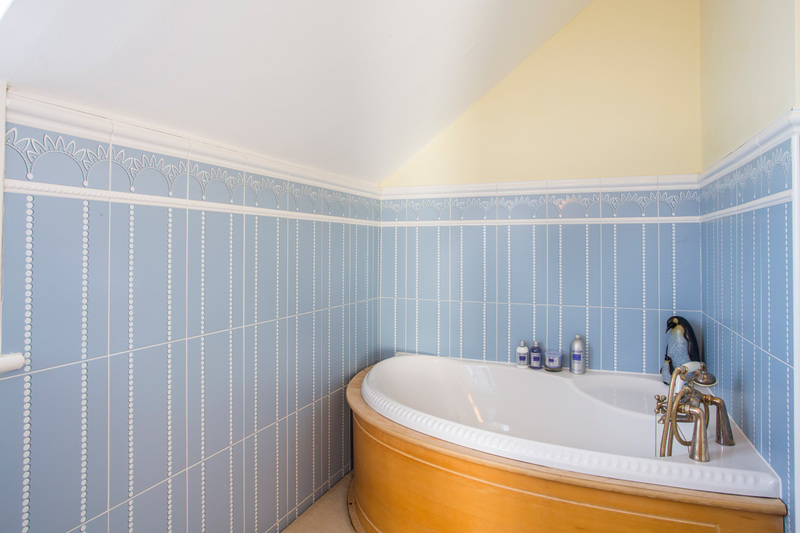 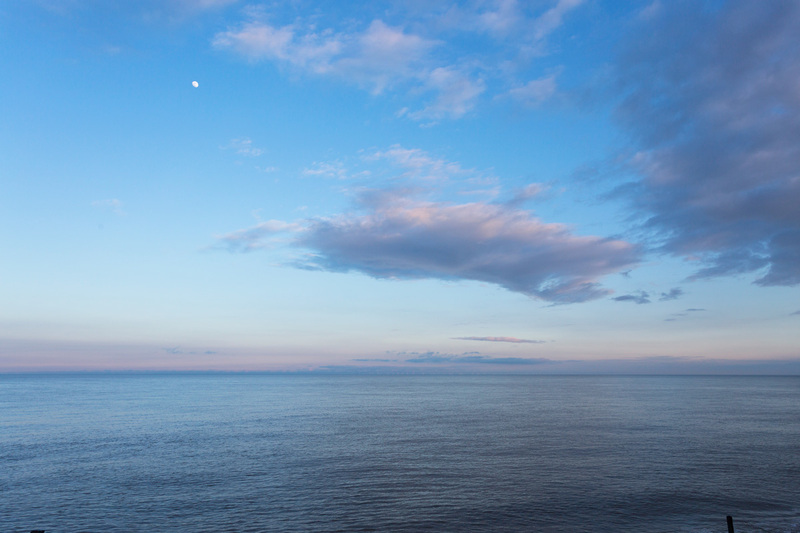 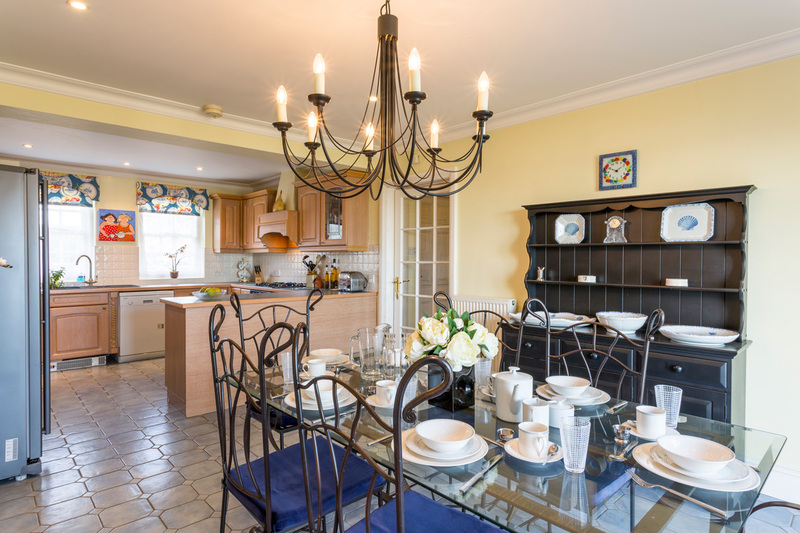 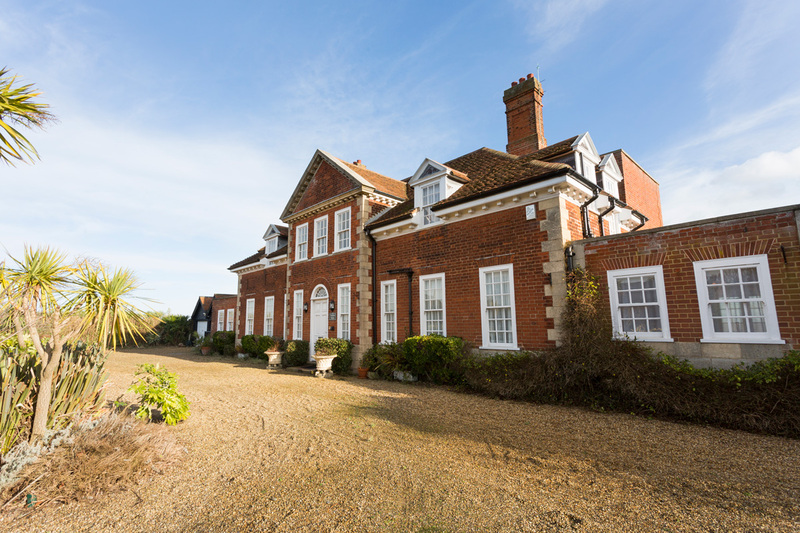 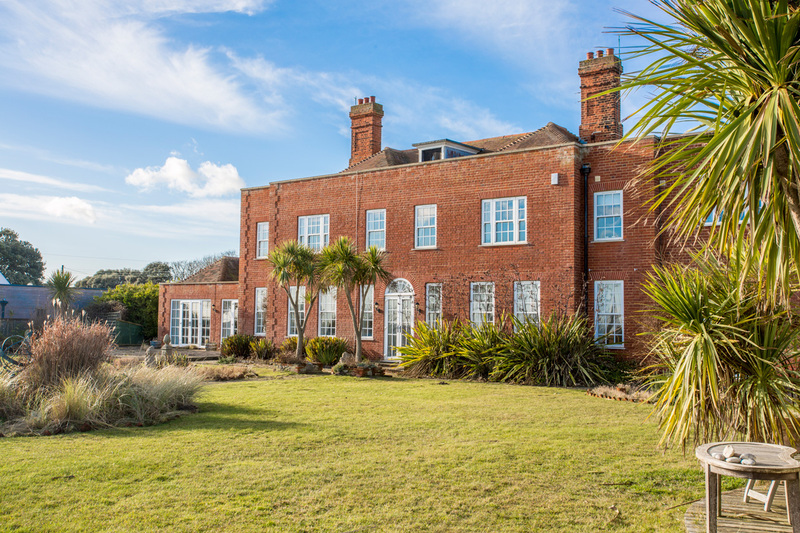 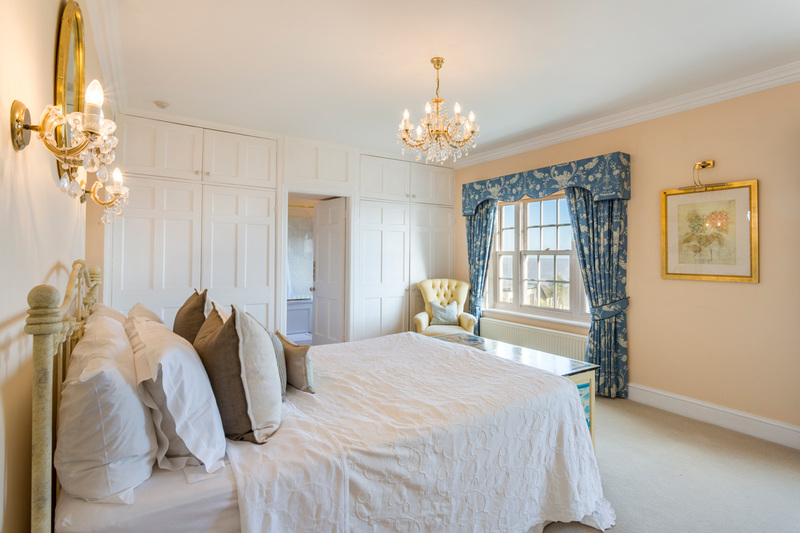 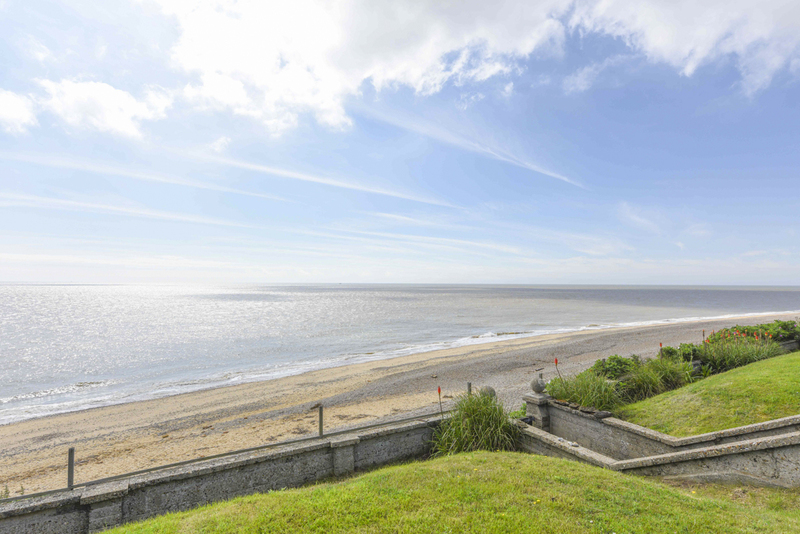 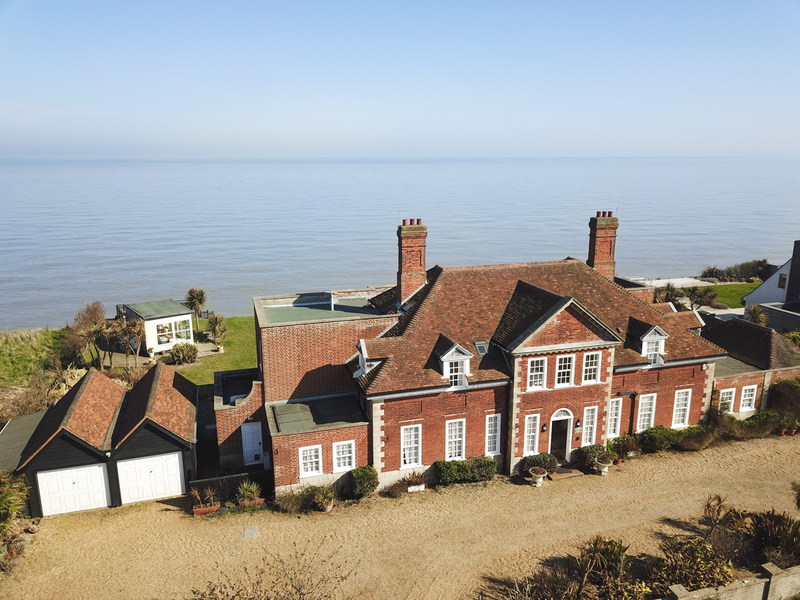 Thorpeness House is the perfect seaside escape offering a stress-free stay where you can truly recharge your batteries. 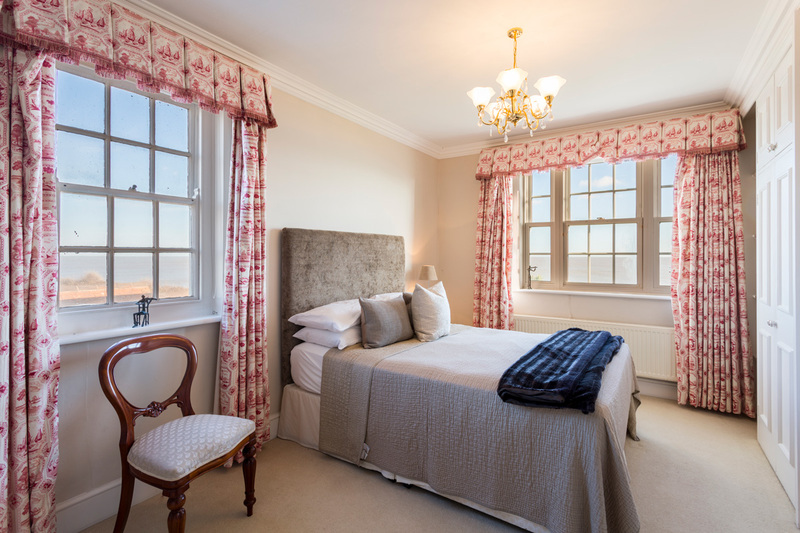 The popular village of Aldeburgh is walkable in less than 30 minutes, so Excellence Luxury Villas highly recommend recurring stopovers. 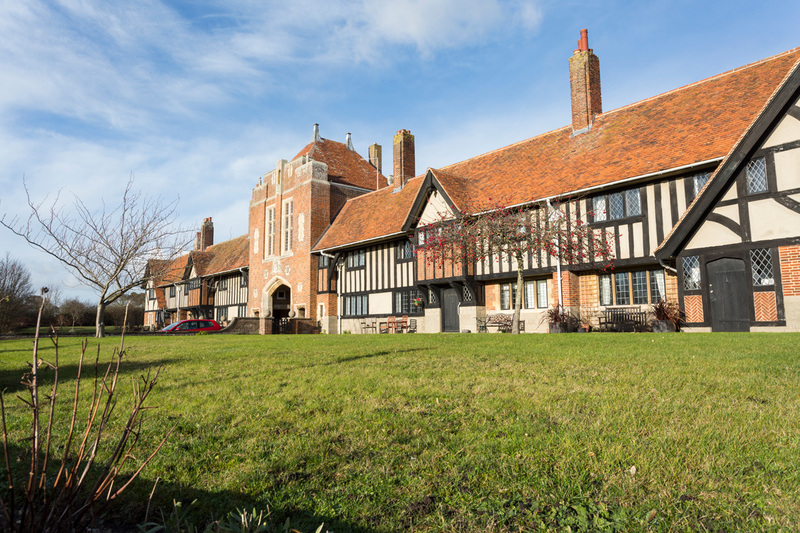 Full of pleasant independent eateries, Art Galleries and Arts & Crafts shops - you’ll feel as if you have uncovered an unblemished traditional English Hamlet.